One of my earliest memories from when I was a child, was when my Dad took me to my first major league baseball game. We were visiting my grandparents just outside of Montreal, and my Dad and I went out for a date night to see the local baseball team. I don’t remember much about the game – not the team that they played or even if they won – but I do remember making the memory with my Dad. I can also remember eating ice cream out of a miniature baseball-cap-turned-bowl, which also seemed to leave a lasting impact on my life! But ice cream aside, it was a significant enough outing that has left a lasting impression on me – quality time spent with my Dad, enjoying one of his favourite pastimes, while teaching his daughter all about the sport. Fast forward 25+ years and now we are raising three kids of our own and have the same strong desire to build lifelong memories with them, just as our parents did with us. We’ve been fortunate enough to travel and experience new adventures with the family, but one thing we had never done was take them to their first ever NHL game and so we knew it was time to change that and build a new memory together. Chris, as a typical Canadian boy, grew up loving the game of hockey. Watching it on TV every Saturday night and even having the opportunity to take in a few live games on several occasions, he’s been a longtime fan of the league and still follows it quite closely. 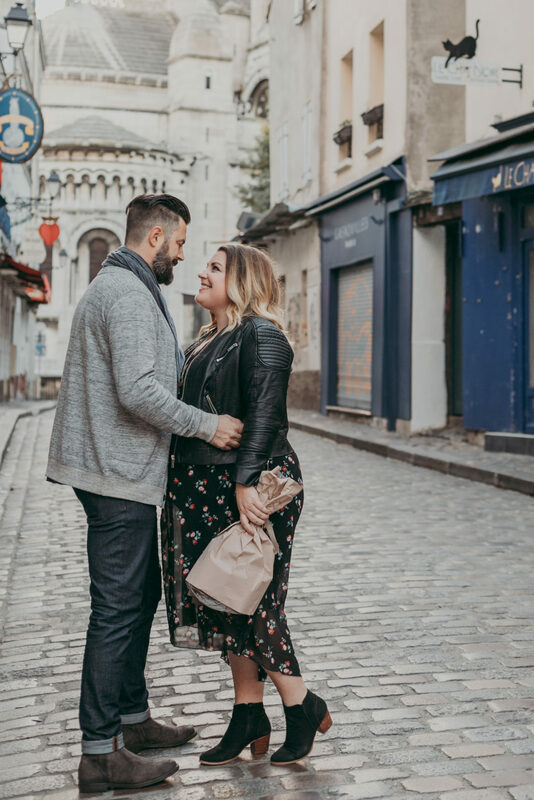 While I wasn’t as into hockey as he was growing up, I still saw a couple of local games in Ottawa and then a few more out west once Chris and I started dating. If you’ve never been to a live hockey game, let me tell you, they are AWESOME! 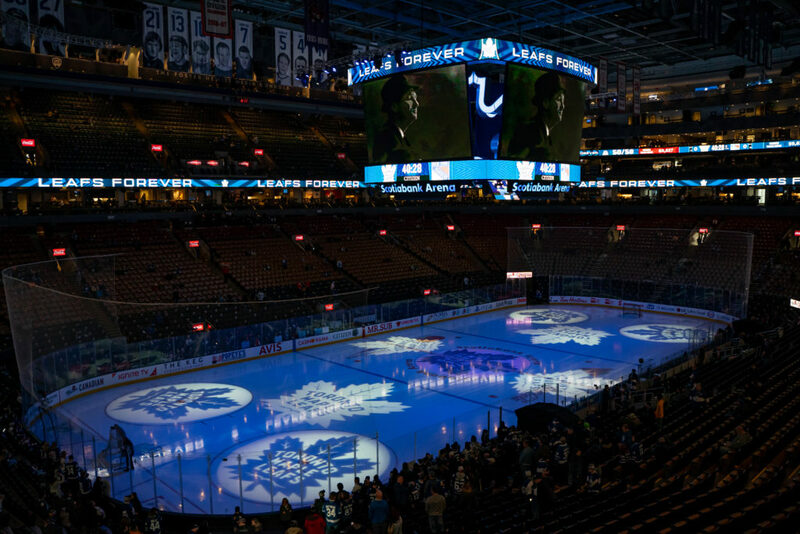 Whether you are a mega fan like Chris or a part-time-just-hear-for-the-ice-cream fan like me, seeing a hockey game in person is something you won’t ever forget. 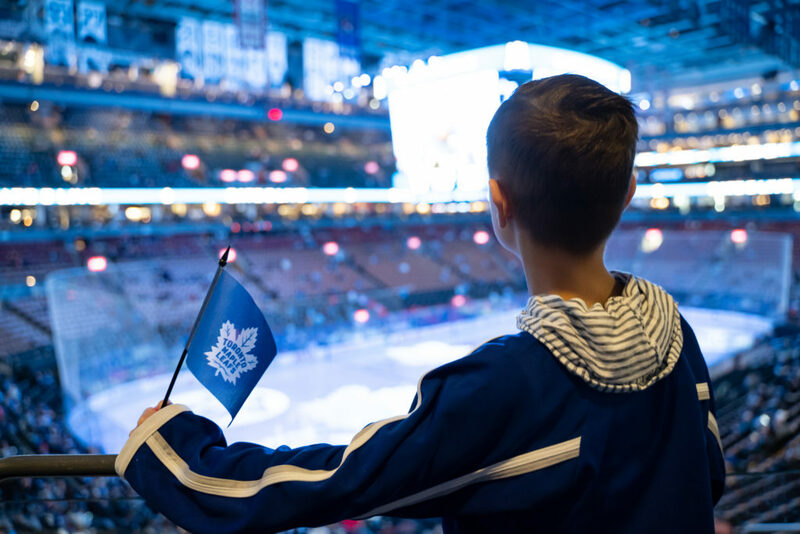 The energy in a large arena with thousands of fans dressed in their team jerseys, all cheering and chanting and hoping for the win – it’s palpable! 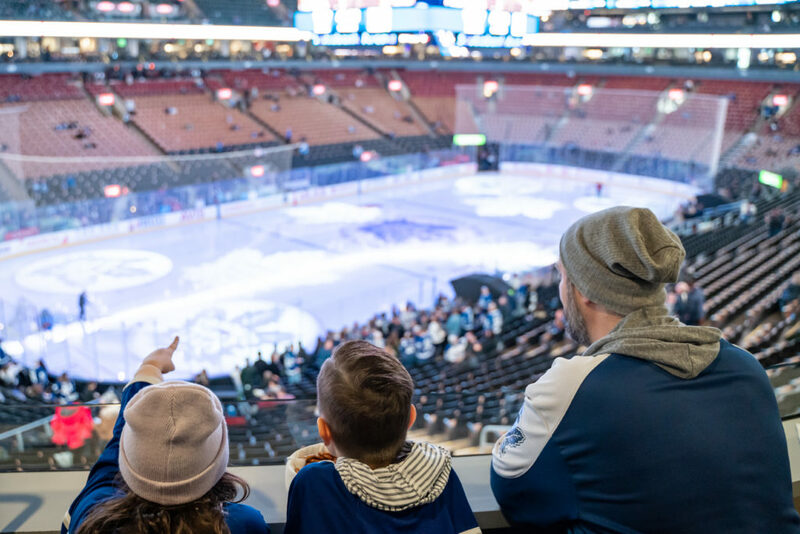 So when our partner Mastercard reached out and offered us the opportunity for our family to go see our first Toronto Maple Leafs game live, it almost goes without saying that we were THRILLED! So thrilled in fact, that Chris ended up spilling the beans to the kids because he just couldn’t keep the secret to himself! 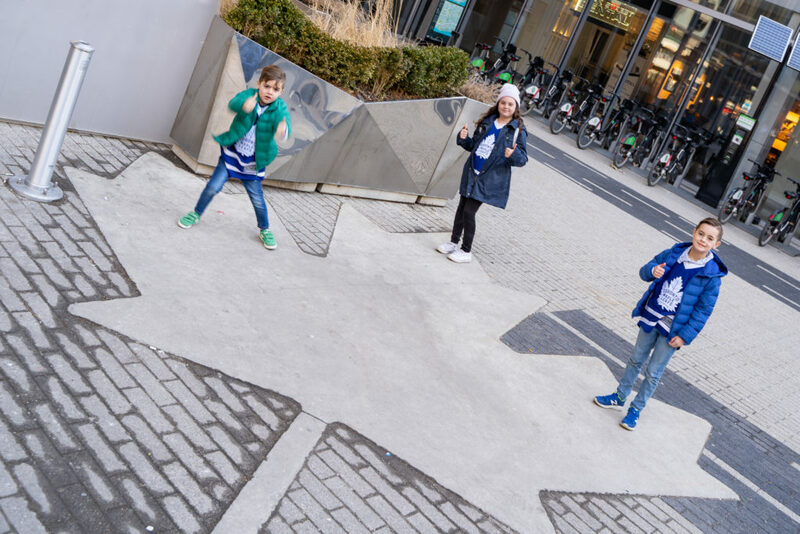 We bought jerseys right away for the whole family so we could get our game faces on in preparation for the big game! I think what made this even more special for our kids is that for the last three months, they’ve all finally learned how to ice skate. 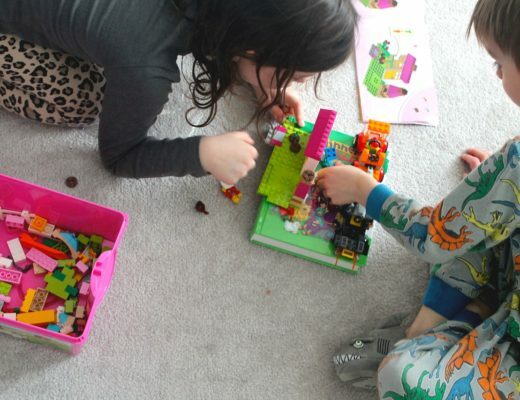 We had never really gotten around to teaching them ourselves, so this last winter, we knew it was time for our Canadian children to learn one of our country’s most beloved past times! And I’m happy to report that after only eight lessons, they are thriving and begging to go back for more next Fall. Now that they finally know how to skate, seeing real-life hockey players skate and make a career out of it, excited them so much! I won’t lie, comments like “Oh I bet I can skate as fast as he can” when my daughters favourite Leaf player came onto the ice made me chuckle. While that statement might be debatable, it was so exciting to watch them connect with a sport through their own recently developed skills while watching it live and in person, right before their very eyes! 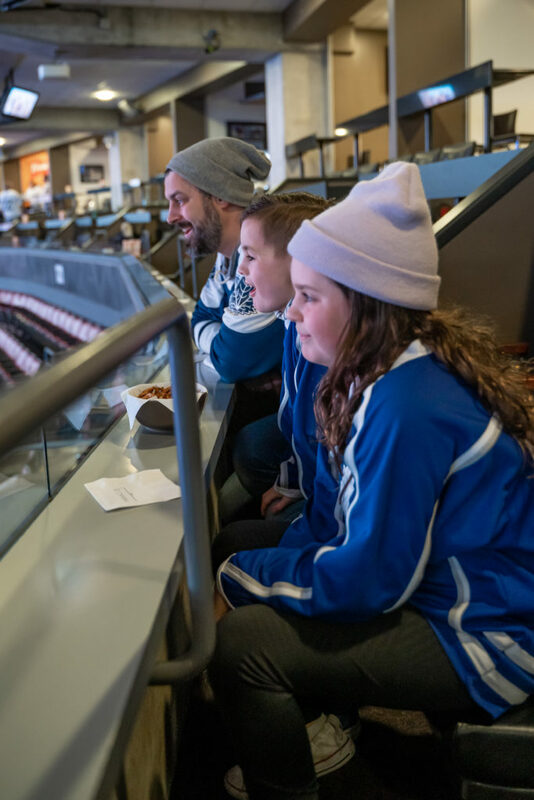 We arrived early at the Mastercard suite, wanting to make sure we got settled in nicely and ready for the big game. 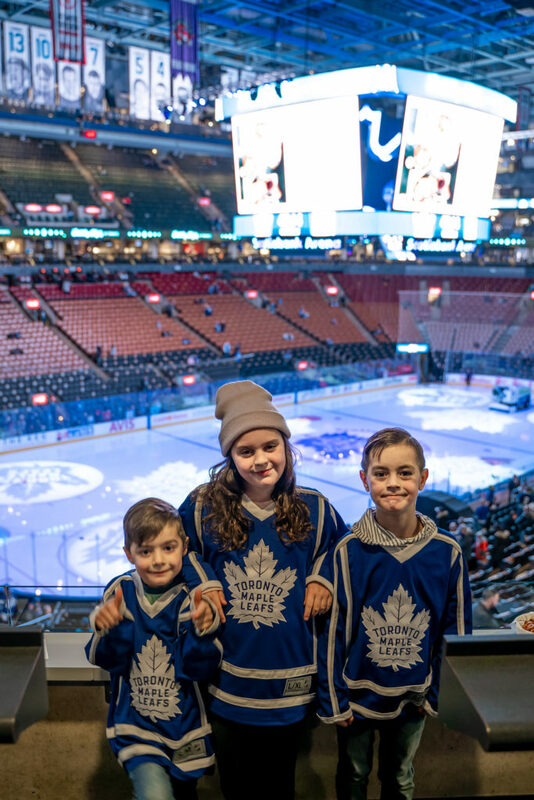 We were so surprised when they not only offered the kids little Maple Leaf flags to wave but also presented them each with their own certificate, complete with their own names on it, stating that they had been to their first game on that specific date! That was such a special memento that our kids will be able to save for when they are older and eventually show their kids! The game was absolutely incredible. I don’t think I had ever showed up that early for a game before, so I wasn’t aware of the whole pre-show, but it did not disappoint! From the music to the lights and everything in between, it set an incredible tone for the entire game – one that I’ve truly never experienced at any other sporting event before! 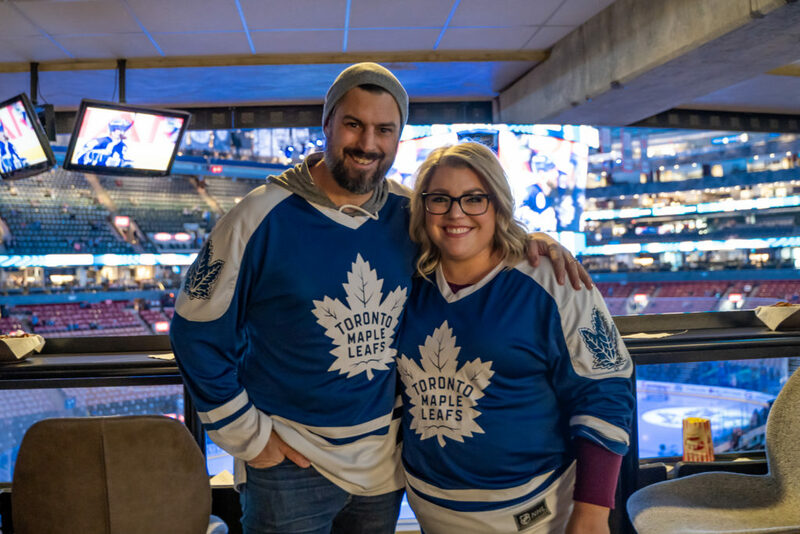 We cheered, we laughed, we shrieked when the opposing team scored the first goal and then shrieked a little louder when the Leaf’s scored their first goal. 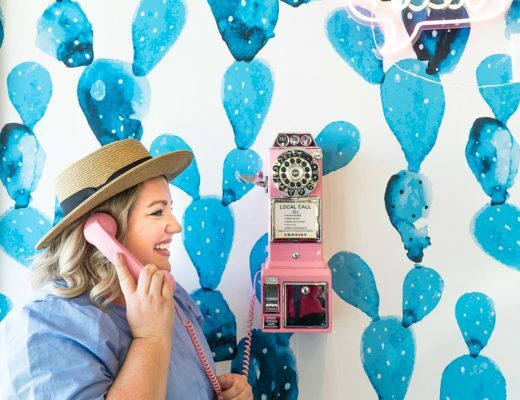 We sat on the edge of our seats and bit our nails (or was that just me?!) when it went into 3-on-3 overtime and groaned when ultimately the Leaf’s lost. But even though our team didn’t win, it was such an exciting game that had all five of us completely engaged from start to finish! 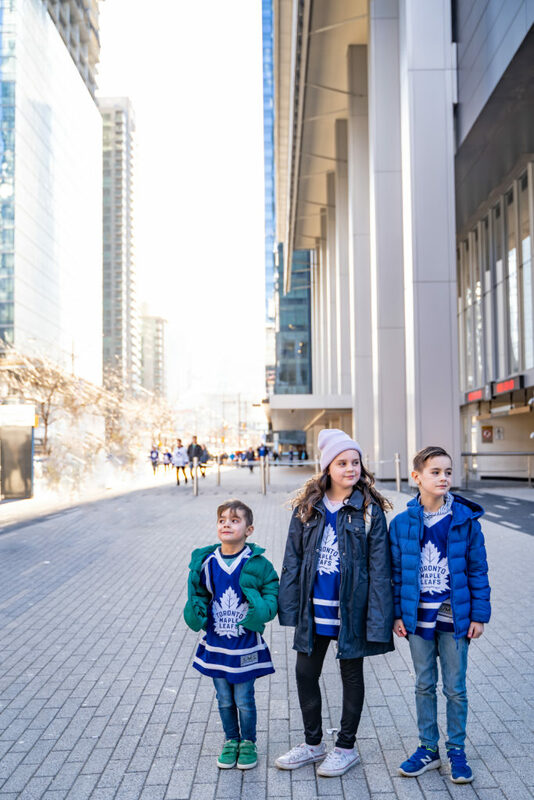 That was all the reassurance that we needed as parents knowing that win or lose, we had just experienced something our kids will never forget – their first Toronto Maple Leafs game! And that my friends, is priceless! In the end, we know that our bodies will start to fail us and material possessions won’t last forever. But the one thing that we will always have are our memories. 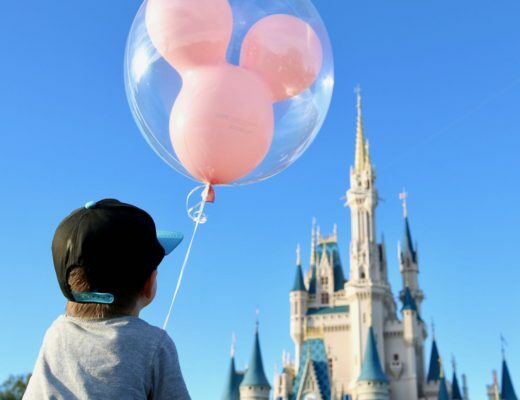 Those are some of the most cherished things we will carry with us throughout this lifetime and so investing into building amazing memories with our loved ones is some invaluable. 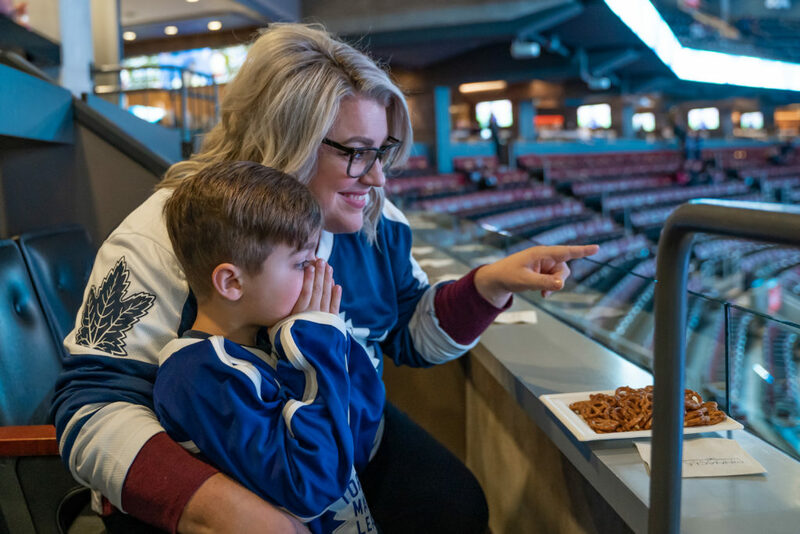 So if you haven’t taken your kids to see their first hockey game or even if you haven’t gone yet yourself, I’d strongly encourage you to make it a goal of yours and #StartSomethingPriceless before it’s too late! 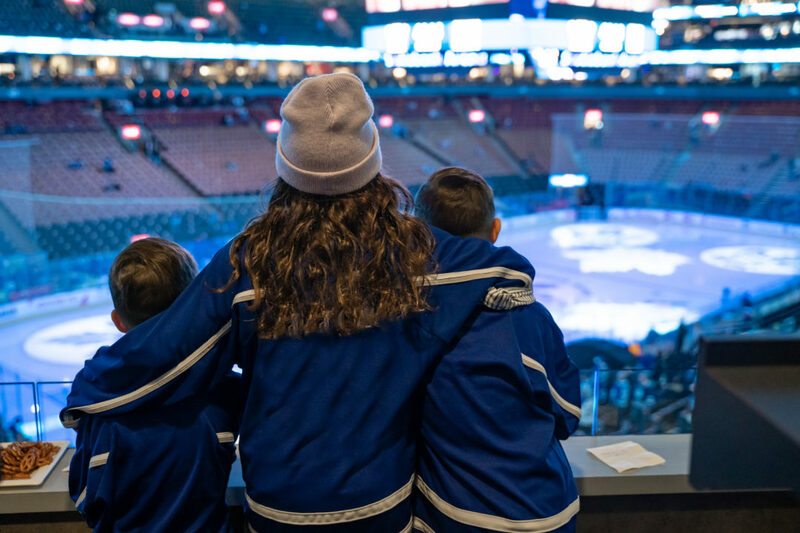 Plus with Mastercard, we are giving you the chance to take a special fan in your life to their first Toronto Maple Leafs game – I guarantee you’ll remember it for the rest of your life! 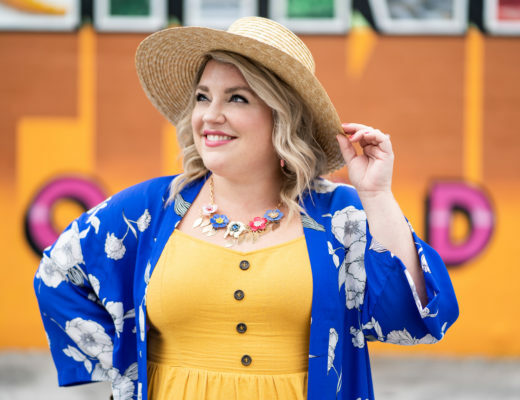 Check out my Instagram and Twitter for details. 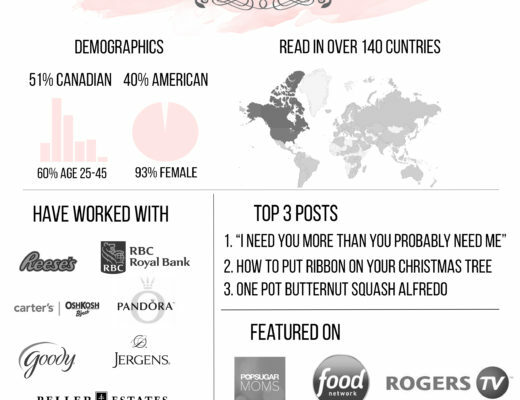 Note: This post was sponsored by Mastercard. As always, the thoughts and opinions are 100% my own.